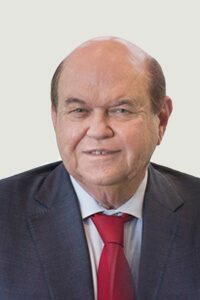 Richard “Rick” T. Simmons, Jr., is the former Chief of the Criminal Division and the former Chief of the Civil Division in the United States Attorney’s Office in New Orleans, Louisiana. He was presented the Department of Justice Director’s Award by then Associate Attorney General, Rudy Giuliani for his Brilab prosecution efforts in the FBI/racketeering trial of U.S v. Carlos Marcello. Client List. Doctors, politicians, judges, lawyers, CEOs and business owners, police officers, and so many others in Louisiana and neighboring states call New Orleans attorney Rick Simmons when their freedom, their reputation, or their assets are at stake. Like few others, Rick has been on the forefront of the defending those under investigation on unjustly accused by federal authorities for alleged healthcare fraud, public corruption, government contract fraud, insurance fraud, bank fraud, tax fraud, mail fraud, wire fraud, money laundering and other federal offenses such as environmental crimes. Trial Attorney. In close to 35 years of litigating federal criminal trials, Rick has made a name for himself as an unusually accomplished trial attorney in some of Louisiana’s most memorable case. Of particular note, was Rick’s Post-Katrina representation of Dr. Anna Pou who was surrounding Memorial Hospital. After her appearance on “60 Minutes” denying the charges, the Grand Jury returned a “No True Bill” on all nine counts, and the prosecuting Louisiana Attorney General was soundly defeated in the next election. In another Post-Katrina case, Rick obtained the acquittal of New Orleans Police Officer David Warren of Federal Civil Rights Murder charges, while the officer fired in self-defense at a looter, who ransacked a mall where he was stationed. When the BP oil spill occurred off the Louisiana coast in 2010, Rick represented BP’s Vice President of Gulf Offshore Drilling Operations, who was the senior BP official on Deepwater Horizon rig when it sank in the Gulf of Mexico. He represented his client before many investigative groups, including the Federal Grand Jury, the U.S Coast Guard, Department of Interior, and the Presidential Commission on the BP Oil Spill. No charges were ever filed against his client. Rick also successfully defended and obtained acquittals in the trial of the Louisiana Governor, Edwin Edwards, New Orleans District Attorney Harry Connick, Sr. (Actor Paul Burke), and the President of the Jefferson Parish Council Robert B. Evans – in addition to avoiding or dismissing charges in a plethora of the other matters. Public Service & Education. Rick is a former Judge Advocate General’s Corps of the United States Army (Lt. Col Retired) and was awarded the Army’s Meritious Service Medal for his appellate defense of Lt. William Calley accused of war crimes in the My Lai, Vietnam incident. He is also a former Federal Public Defender in the Eastern District Louisiana. In addition to a Master of Law in Environmental Law (LLM) from George Washington University, School of Law, Rick holds a Juris Doctor (J.D.) and a Bachelor of Arts in Political Science (B.A.) from Louisiana State University (LSU). Rick is a senior managing partner at the law firm of Hailey McNamara in New Orleans (Metairie), Louisiana, and a life-long resident of New Orleans.